A major environmental accident of a Pharma company on the doorstep of our headquarters in Basel prompted the Bank to undertake its first analysis of a company through the lens of sustainability. 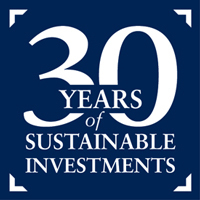 This led, in 1989, to the first dedicated mandates managed according to environmental criteria and, a few years later, to the launch of the first environmentally-oriented mutual fund. Since then, we have continued to improve our approach, integrating the now widely accepted ESG (environment, social, governance) factors and applying sustainability considerations at each step of the investment process. Over the years, we have developed a wide range of investment strategies, which cover the main asset classes. Our experience demonstrates that using sustainability criteria gives a better insight into companies and helps validate the viability of their business models over the long term, allowing us to reduce risks and identify growth opportunities in our clients’ portfolios. In addition, we exercise shareholder rights on behalf of our clients. Our approach is not only designed to encourage robust corporate governance structures but also to ensure that the rights of shareholders are protected. We aim to encourage changes in environmental, social and governance practices, as well as greater transparency, so as to produce a positive impact. We publish annually a report on our Active Ownership activities. Today we are happy to see that sustainability considerations are part of the mainstream in the financial industry, globally. It is also widely recognised that the financial sector has a significant role to play in incentivising, measuring and holding to account how companies manage their sustainability challenges. In 2019, our passion for sustainable investments is as strong as ever, we continue to grow our expertise and develop new approaches for the benefit of our clients. At a firm level, Corporate Sustainability has also grown in importance at Bank J. Safra Sarasin, over the last decades. This means responsible and proactive governance, considering and integrating the interests of all the Group’s stakeholders into the decision-making process. In everything we do, we focus on our clients’ satisfaction, while balancing the needs of our employees as well as the requirements of the society for long-term prosperity and the integrity of the environment.